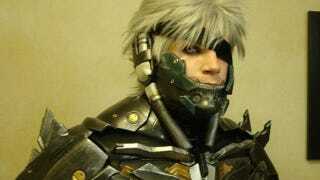 It's probably not my favourite Raiden cosplay, but for effort and application it's now a comfortable number two. Cosplayer Xailas7 wore this to the Metal Gear Rising launch party in LA, and if he wasn't the star attraction there, well I just don't know. It's incredible. From the contacts to the hair to the detail on the costume itself, it's as good as cosplay gets.